This is a very easy and fast to prepare potato casserole. The only thing you need are potatoes (as much as you want), herbs (salt, pepper, oregano), chopped cheese (i.e. cheddar), some milk/yogurt and some butter to oil the baking pan. You can as well slice some extra carrots if you like. 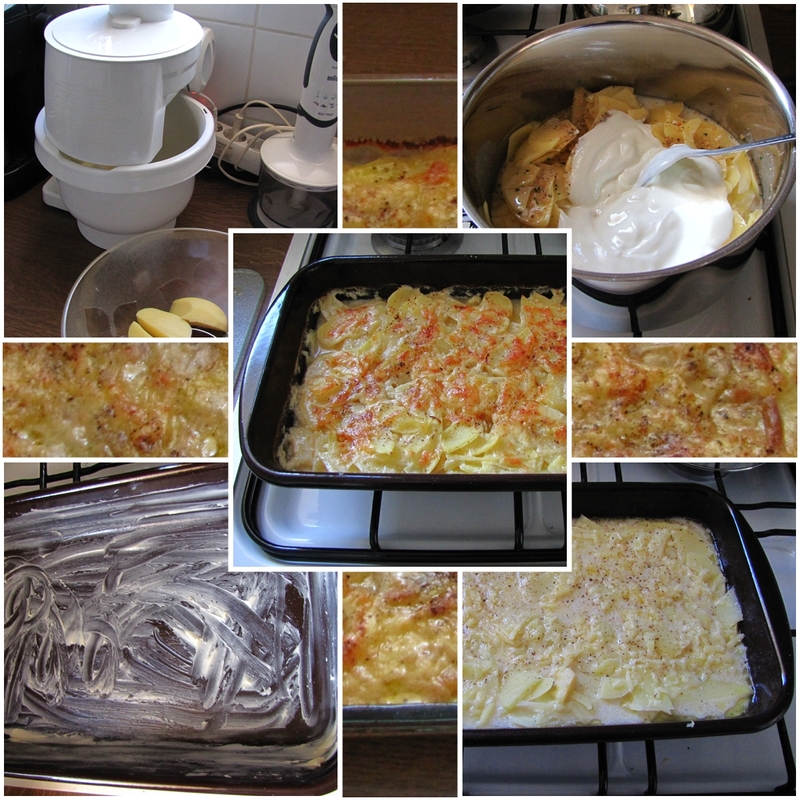 After you sliced the potatoes, cook them for 5 minutes with a little bit of milk and yogurt and spice it well. This will shorten the time you need to bake the potatoes in the oven. Use as much milk/yogurt just to cover the potatoes in the pot. Then put the potatoes into an buttered baking pan and spread some chopped cheese on it. Bake for circa 40 minutes at +/- 200°C (390°F). You can check after 30 min. if the potatoes are ready. That's all. You can serve it as side dish. You can as well mix some tuna to get a non-vegetarian one-dish-meal.